Valeo Service USA and Canada announces the launch of 5 New Products in April. As one of the largest Original Equipment suppliers in the world, Valeo is a trusted name among major vehicle manufacturers and Aftermarket industry professionals. 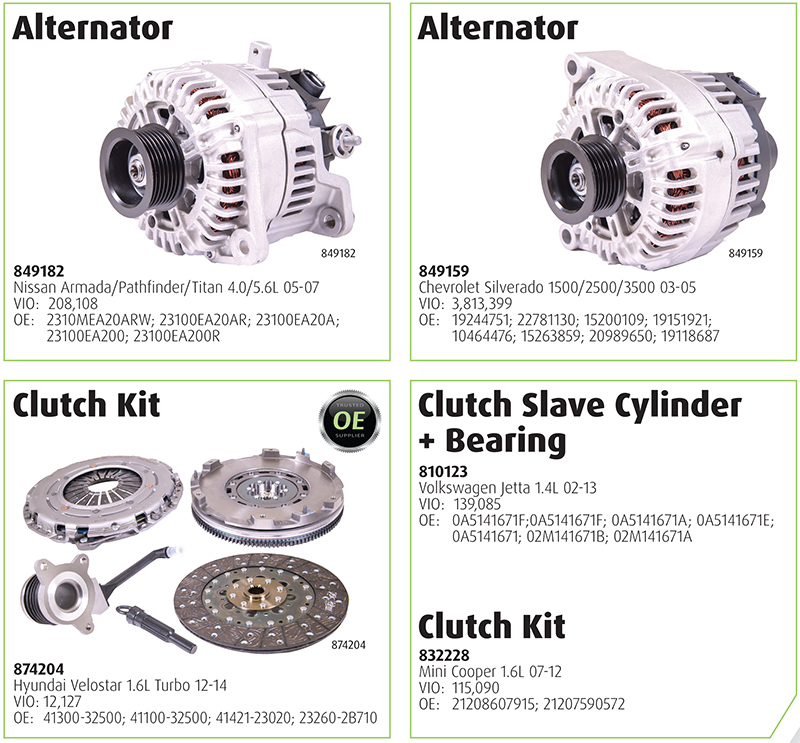 The April release features 2 alternators, 2 clutch kits, and 1 clutch slave cylinder + bearing.